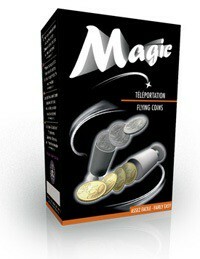 Flying Coins from O.I.D's Magic Collection. 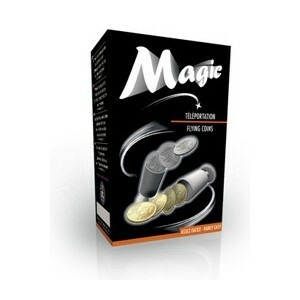 Two cups allow any chosen coins to be teleported through space from one cup to the other, using only the power of the mind. A really high flying trick which is truly breathtaking.